We're winding down to the final few weeks of the indoor season, and times, jumps and throws are about to get crazy. 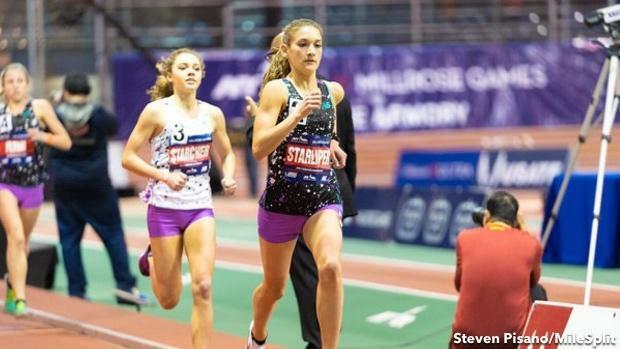 So say hello to another National Performer of the Week vote. Last week's contest saw a duel come down to the wire, with St. John's College's Alicia Dawson grabbing the honor with just over 45-percent of the vote. Dawson earned total 1,599 votes, surpassing a charge from fans of Alexa Rossum, who earned 37-percent of the vote. A total of 3,550 votes were cast. The jumper was deemed our winner following a mark of 40-0.25 in the triple jump at the Private/Independent School Invitational. So a big congrats goes out to Alicia on the win. Now let's forward on to this week's candidates.